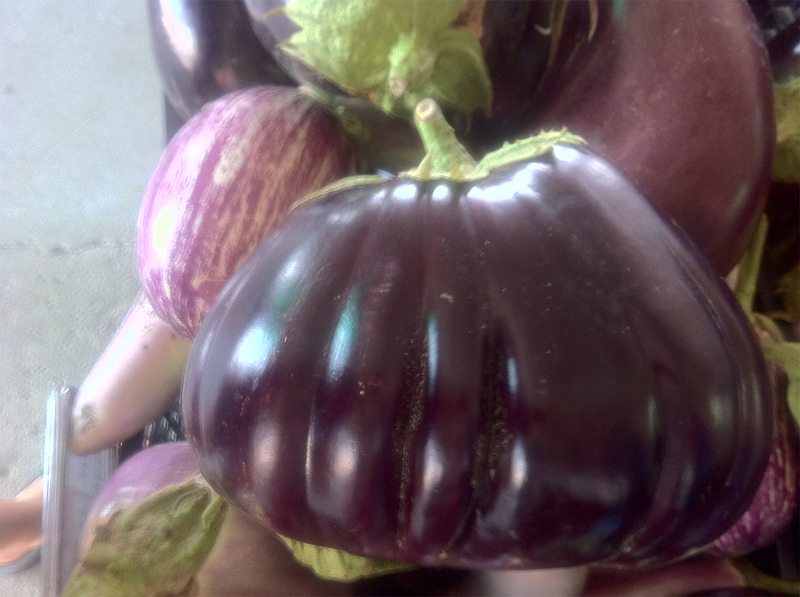 Heirloom eggplants are completely new to me, and while I would rather photograph than fuss with them, I'm sure the flavour is as impressive as their appearance. Another new word for me today was Darshan. It is the bestowal of Love, Light and Grace. The medium through which this is done is called an 'avatar.' This individual is an incarnate of the Divine, and the silent bestowal is done without teachings, rituals or chanting. It is said that with a gaze and touch, the soul, body and mind can be penetrated with transformative results. Mother Meera is an avatar who will be receiving and giving this gift at Darshans throughout Canada. For more information, click here. Namaste.